Rainbows remind us of Spring! 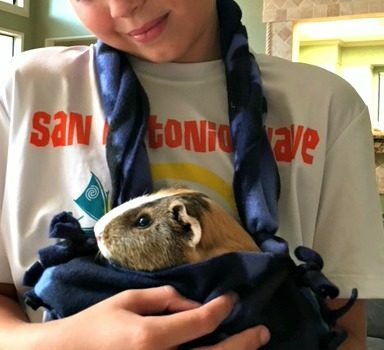 Kids of all ages love rainbows. 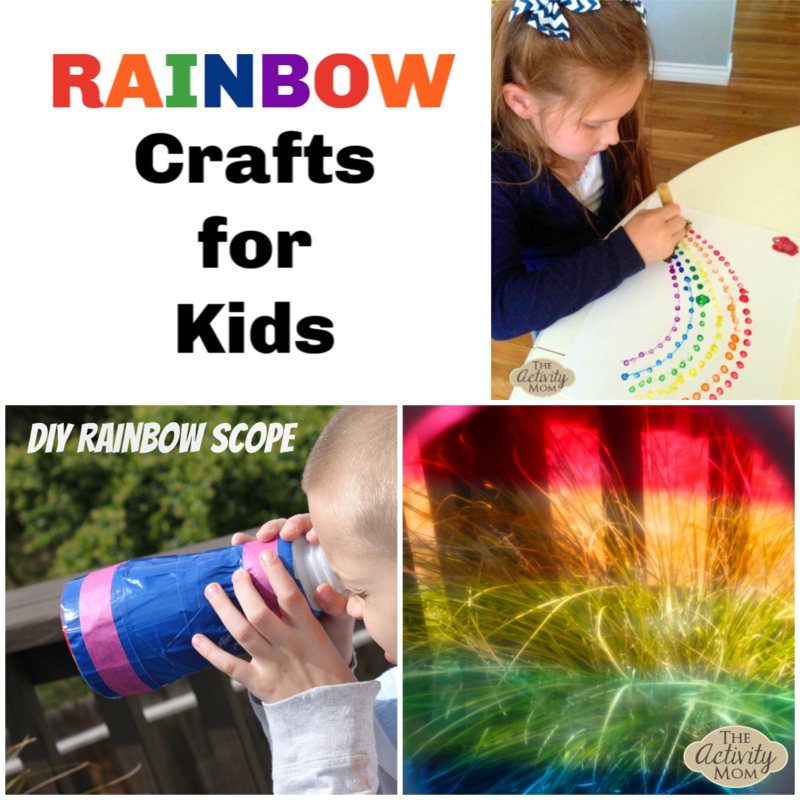 Here’s a collection of our favorite rainbow crafts for kids. 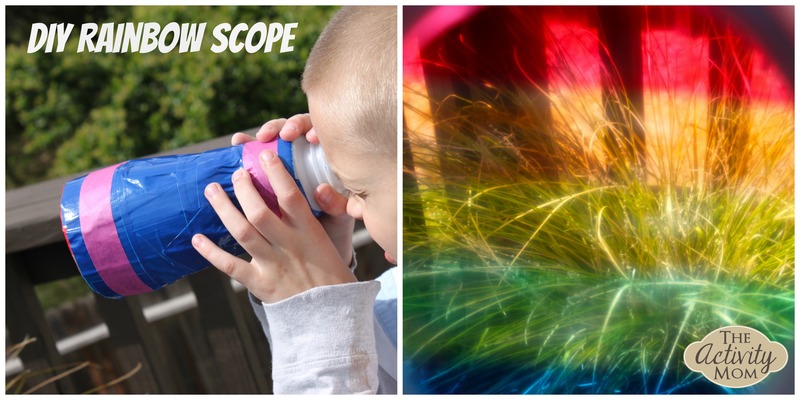 Turn everything into a rainbow with this DIY Rainbow Scope that your kids will love! 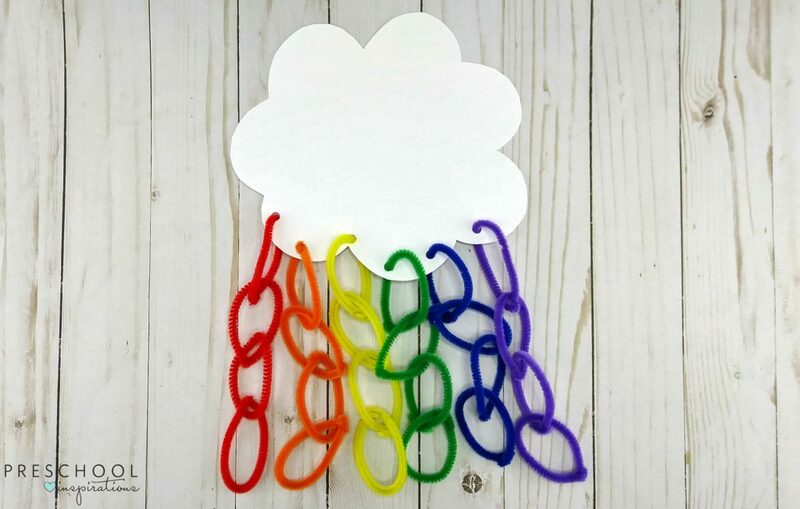 I LOVE this pipe cleaner rainbow craft from Preschool Imaginations. Working with pipe cleaners is great for fine motor skills! 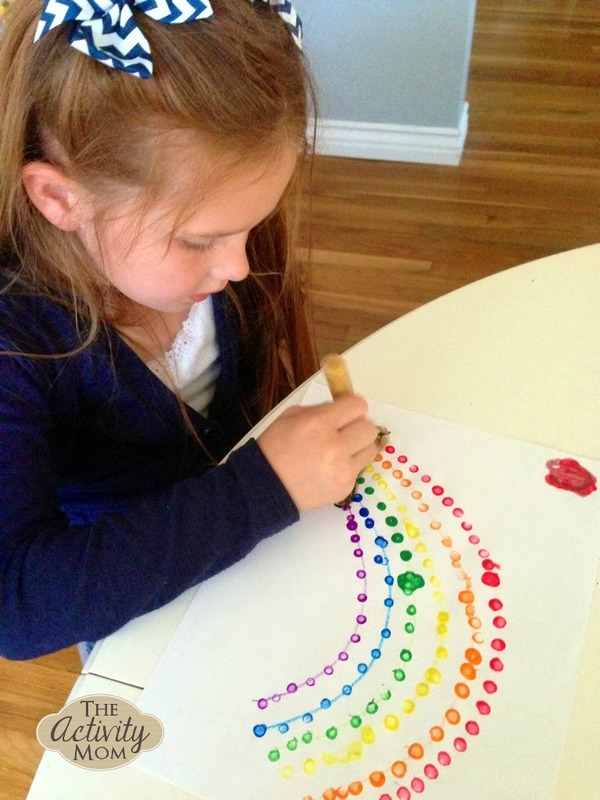 Try rainbow qtip painting! It is easy to set up with items you already have on hand and you end up with a beautiful product to display. 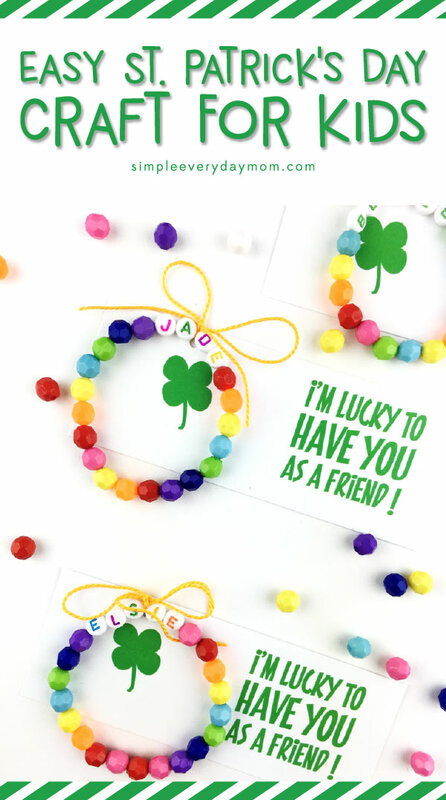 These personalized rainbow bracelets are adorable from Simple Everyday Mom. What a great way to practice letter identification and patterning. 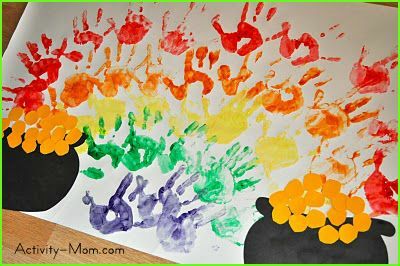 Try this rainbow handprint craft that will also be a cherished keepsake (I’m a sucker for anything with handprints). 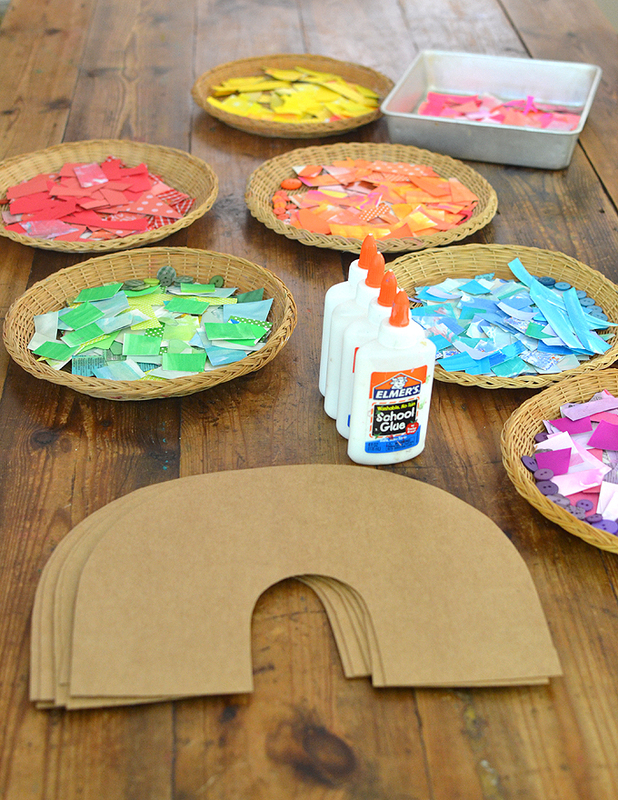 I love this invitation to create a rainbow collage from Art Bar. 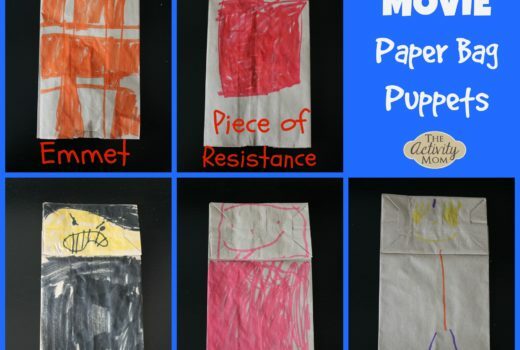 Tearing paper is also a great task for strengthening fine motor skills so you can add that twist to this cool craft. 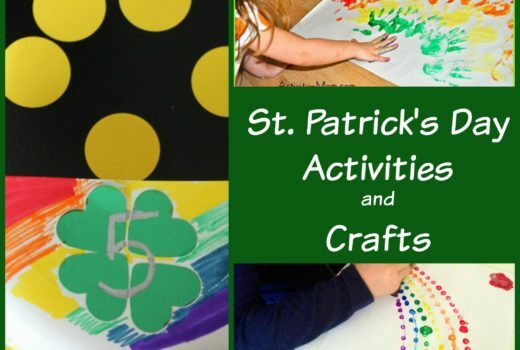 Make this rainbow pot of gold craft. 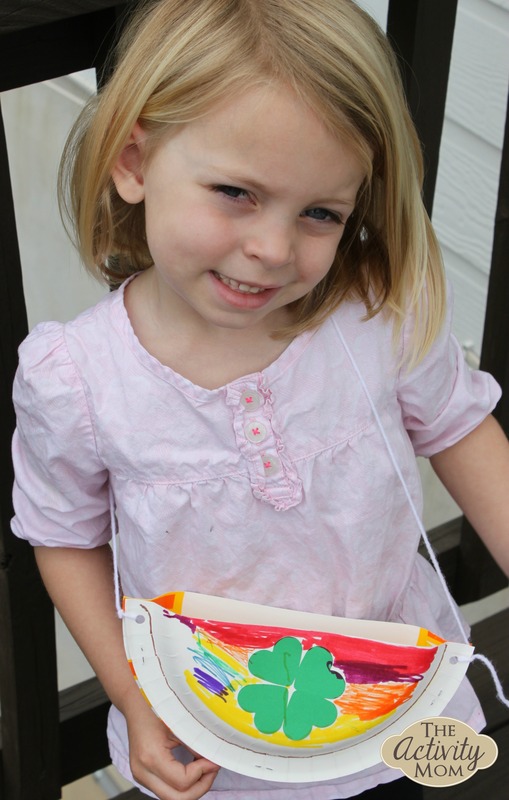 Read more about how we turned this craft into a purse, mailbox, and a counting game. 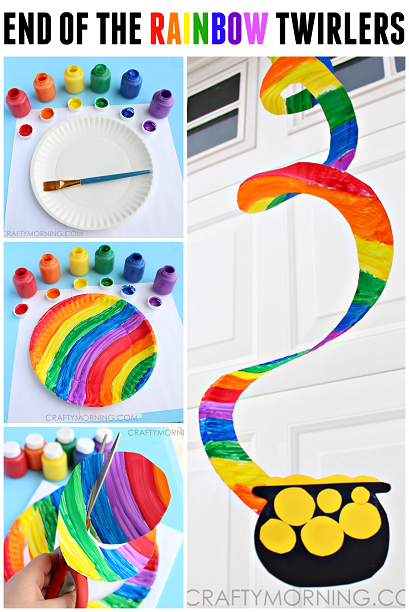 Try this paper plate twirling rainbow craft from Crafty Morning. I love how open ended it can be and how cool everyone’s paper plate will turn out once it is cut into a twirling decoration. So what do you think? Which rainbow craft will you try first?